Grab your gear and head to Miamisburg where there is plenty to do outdoors! The parks and bike trails are enough to keep you busy for days. Splash around in the water park or play a game of disk golf. Plan a trip to the skate park, or attend a morning paddle float on the river. Bike along the river or kayak on it! Looking for a bit of history and a way to stretch those legs? Climb the tallest Native American burial mound east of the Mississippi River – The Miamisburg Mound. There are plenty of scenic spots for picnics and hikes as well. 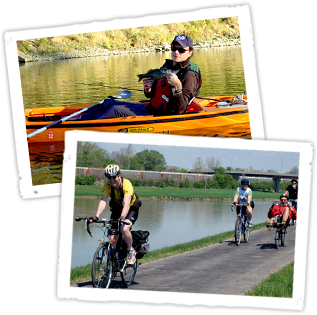 Check out our Events page for all the outdoor activities taking place in Miamisburg. We’ll see you on the trail, explorers!